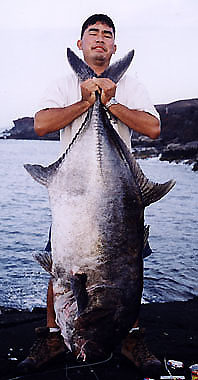 Josh caught two 100-plus ulua on one trip. This 116-pounder was the bigger fish. He used a 121/2-foot All-Star rod, Newell 646 and 80-lb test Maxima line to best the beast.